When you first open Microsoft Word, you can start creating documents immediately. 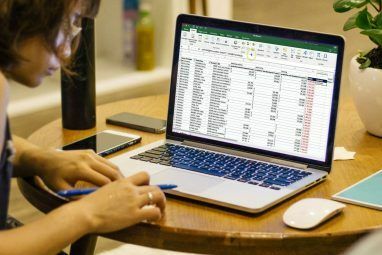 The application offers many built-in features and default settings to help you produce the exact type of the document, whether a professional report for business or a paper for school. You see helpful tabs, buttons, and toolbars. And behind the scenes, Word takes care of spelling, grammar, other corrections for you. Most people just start typing and don’t think about these tools. But you can improve your experience with the application by just taking a few minutes to adjust these settings. Changing the way that Word handles your spelling and grammar is a great first start to customize the application to fit your needs. These types of settings come in handy for making sure you aren’t misspelling words or using incorrect grammar. But they can also be distracting in some cases. For instance, you may work for a company that uses all uppercase letters in the name or has a name that’s a word and number combination. You can adjust the settings for these types of situations so that you don’t continually see error indicators How to Stop Microsoft Word Underlining Correct Words as Errors How to Stop Microsoft Word Underlining Correct Words as Errors Microsoft Word tends to underline words that aren't even errors. Here's how to stop that from happening. Read More when creating your documents. Open Word on your Windows computer to any document. Select File from the menu, click Options, and then pick Proofing. You will see all your options for correcting spelling and grammar. Some apply to all Microsoft Office programs you have, while others apply just to Word. Open Word on your Mac with any document. Select Word from the menu bar, pick Preferencs, and then click Spelling & Grammar. You will see a slew of settings listed under both Spelling and Grammar. Using our above example for the company name, you can mark the checkboxes to ignore words in uppercase and ignore words with numbers, on both platforms. You can also enable or disable settings for checking spelling or grammar as you type, flagging repeated words, and ignoring internet and file path addresses. Take your time to read through each setting for those you really want to use and those you prefer not to use. Also, if you click the Settings button, you can enable or disable many additional grammar settings such as capitalization, comma usage, slang, and redundancy. This is also a helpful area to review the settings which are right for you. In Windows, the button is in the When correcting spelling and grammar in Word section and on Mac, it’s under Grammar. Like the spelling and grammar options, the AutoCorrect feature is there to help you avoid errors in your documents. But as we’ve seen many times, AutoCorrect isn’t always that correct when it comes to what we really try to say. If your company name happens to begin with two capital letters, it will be automatically corrected to just the first letter as a capital by default. This, like our other examples with your company name, can get distracting and even aggravating when creating documents. On the other hand, you may want specific things corrected for you. For instance, capitalizing the names of days of the week and the first letters of sentences is convenient. Here’s how to adjust those settings in both Windows and Mac. In Word on Windows, select File from the menu, click Options, and then pick Proofing. Click the AutoCorrect button at the top of the window. In Word on Mac, select Word from the menu bar, pick Preferences, and then choose AutoCorrect. In the pop-up window, you can enable or disable the above types of AutoCorrect options with the click of a checkbox. You can also create exceptions to the rules you have in place by clicking the Exceptions button. This is the perfect place to set up that company name with two capital letters because Word will ignore that as an error moving forward. Click Exceptions and then the Initial Caps tab. Enter the word that you want Microsoft Word to ignore that contains two capital letters at the beginning. You can also review the First Letter tab for built-in exceptions to the rules and add more in the Other Corrections tab. Click OK when you finish. Back on the main AutoCorrect screen, the bottom of the window lets you review existing replacements and add your own. Things like special characters, emojis, and commonly misspelled words are listed to automatically change when you type them. You can add to the list or delete any that you no longer want. The Quick Access Toolbar lives on the top left of the Word window. It is meant to be a spot for you to access tools you need quickly, as the name implies. So take the time to customize this toolbar as it will save you a ton of time later. By default, the toolbar contains buttons like Save, Undo, and Redo. But if you use different tools much more often, then it’s best to put those in this handy place instead. This way, you can perform the quick actions you need with just a click. On Windows, select File from the menu, click Options, and then pick Quick Access Toolbar. On Mac, select Word from the menu bar, pick Preferences, and choose Ribbon & Toolbar. Click the Quick Access Toolbar button at the top of the window. In the Quick Access Toolbar settings area, the items on the left are the commands you can use and those on the right are what’s currently in the toolbar. You can remove an action from the toolbar by selecting it and clicking the Remove arrow in the center. To add an action, select it on the left and click Add in the center. You can pick from Popular Commands or click the drop-down box for a full list of actions that exist in the Word tabs. So, maybe you use the Find, Open, Save As, and Add a Hyperlink tools often. Click each one on the left and add them to the right. Click OK when you finish. If you ever want to revert to the default commands, access the Quick Access Toolbar settings once again. Then in Windows at the bottom of the window under Customizations, click Reset and then Reset only Quick Access Toolbar. On Mac, click the Settings (gear icon) button and choose Reset only Quick Access Toolbar. The Ribbon in Word is another spot that you should consider customizing. Similar to the Quick Access Toolbar, you want the actions you use most at your fingertips. By default, Word has tabs across the top for things like Home, Insert, Draw, Design, and View. But if you never use the Draw or Design tabs, why have them there taking up space? At the same time, maybe there are commands within the Home tab you would like to use in an order that you find more useful. These types of customizations lead to a more productive Word experience. On Windows, select File from the menu, click Options, and then pick Customize Ribbon. On Mac, select Word from the menu bar, pick Preferences, and choose Ribbon & Toolbar. Click the Ribbon button at the top of the window. Like the Quick Access Toolbar Settings, the Ribbon settings window has the commands on the left and the currently used actions on the right. Move them into the ribbon or out of the ribbon using the Add and Remove arrow buttons in the center. To adjust the tabs that you see across the top, simply check or uncheck them on the right side. To view the commands within each tab, select the plus sign (Windows) or arrow (Mac) next to the tab and then the subsequent indicators for each set of commands. To rearrange the order of the tabs or the commands select them and use the arrows on the right to move the up or down in the list in Windows. On Mac, select and drag the items to reorder them. For a more in-depth look at customizing your Microsoft Word Ribbon in Windows, take a look at our detailed tutorial How to Optimize the Office 2016 Ribbon or Menu Interface How to Optimize the Office 2016 Ribbon or Menu Interface Do you often search for menu items in Microsoft Office? It's time to re-arrange and customize the Ribbon menu for your personal needs. You'll be surprised how flexible and easy it is! Read More . The Status Bar, which resides on the bottom of the Word window, is one last place you likely don’t touch as far as customizations go. However, this toolbar provides a lot of helpful information, so it’s worth your time to adjust it. 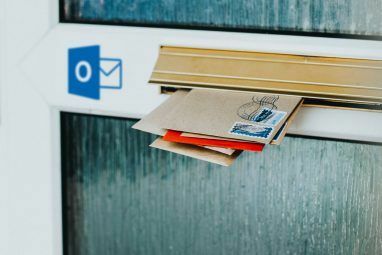 For example, if you constantly check your word count or switch Word’s layout views How to Customize Microsoft Word Layout Settings How to Customize Microsoft Word Layout Settings Microsoft Office comes with many useful templates, styles, and themes. We'll show you all the settings you need to create your own custom layout in Word 2013 and Word 2016. Read More , you want to make sure these tools are readily available. Alternatively, you may never need a macro recording tool or the vertical page position, so you can remove them. In Windows, right-click on the Status Bar and on Mac either right-click it or hold the Control key and click on it. When the menu appears, you simply check those items that you want to display in the Status Bar. You will see this toolbar update automatically as you check and uncheck the various options. 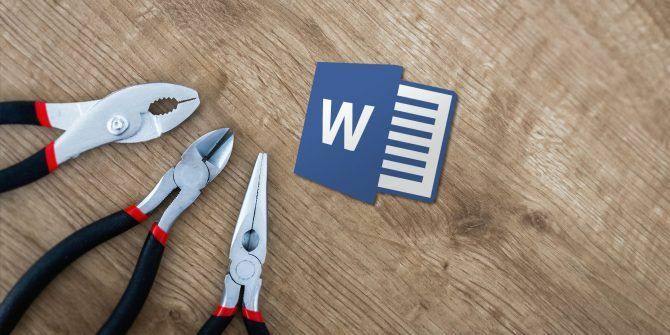 When you take the time to review settings 10 Default Microsoft Word Settings You Can Optimize 10 Default Microsoft Word Settings You Can Optimize A few simple optimization steps can amplify your productivity with Microsoft Word. We give you ten quick and easy settings for your everyday tasks. Read More for an application that you use regularly, you might be surprised at how much better you can make it. By changing small things like these, you can work more effectively. 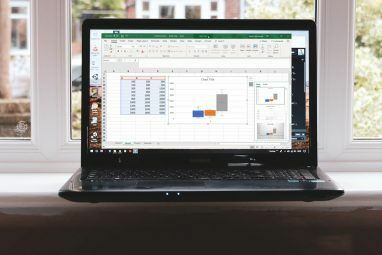 Explore more about: Microsoft Office 2016, Microsoft Office 2019, Microsoft Word, Office 365. And always disable that stupid A4 scaling (resizing) that prints your A4 documents in Letter size paper.